Inside Out Caramel Apples are a fun fall treat. Cored apples are filled with caramel sprinkled with cinnamon and baked until tender, then topped with pecans and more caramel for an easy dessert. While I’m still hanging onto summer, I have to admit fall is around the corner. I went on a walk during lunch today at work and there was no mistaking the cool breeze in the air. Plus the evening found me curled up on the couch, sipping a hot mug of chai tea. So for all of you who are embracing fall with open arms, here is a fun, festive recipe to begin fall with. I think these warm, inside out caramel apples would also be delicious with a scoop of vanilla ice cream on top. 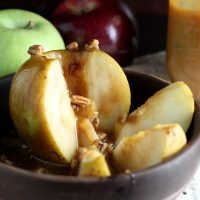 If you’ve ever tried to eat a traditional caramel apple, you know how hard it is to get a good bite of caramel together with a good bite of apple. When I try to eat one anyways, I always seem to end up eating the caramel off the apple first and then having a tart apple left at the end. 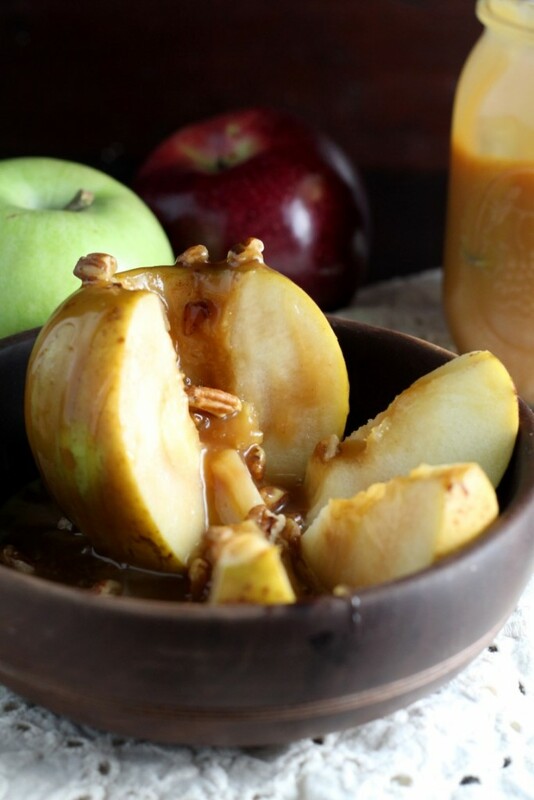 These inside out caramel apples are a fun way to switch things up and enjoy delicious bites of caramel and apple together. Preheat oven to 350 F. Core each apple, leaving 1/2 inch of core at the bottom. 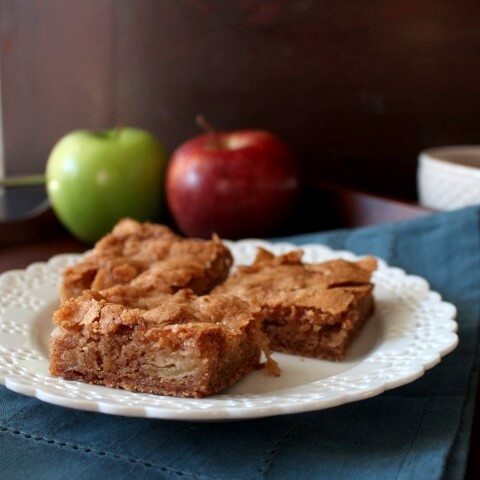 Place each apple on a square of foil. Fill the hollowed appled with caramel sauce, sprinkle with cinnamon and 1 tablespoon of water. Wrap the apples in the foil and bake in the oven for 25-30 minutes, or until the apples are slightly soft. Remove from the oven and let cool a bit. 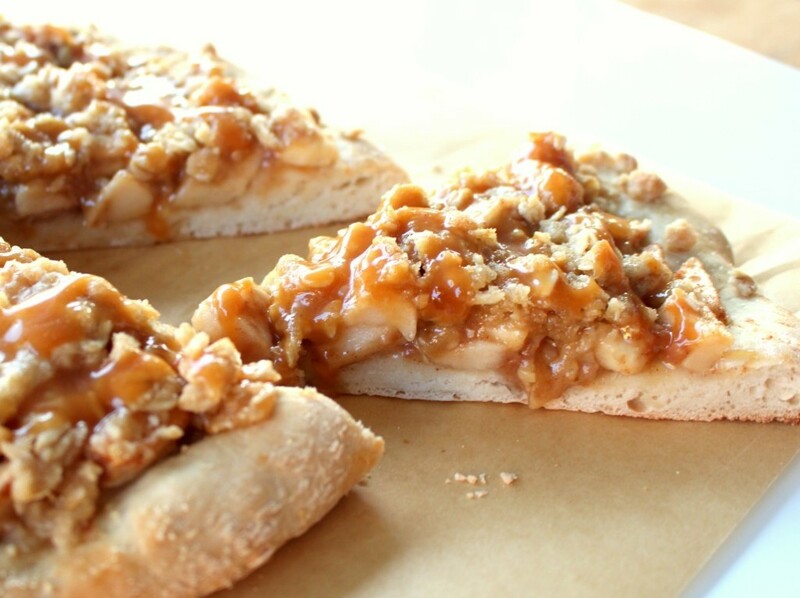 Drizzle with additional caramel and sprinkle with pecans before serving.